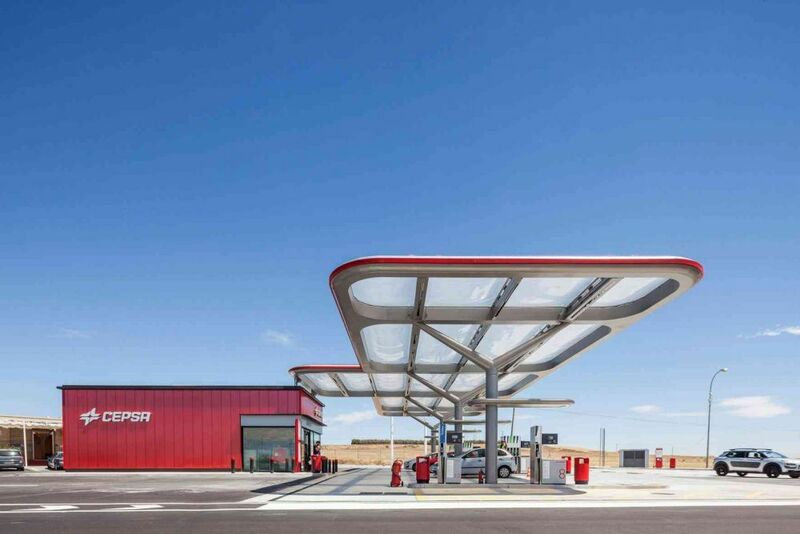 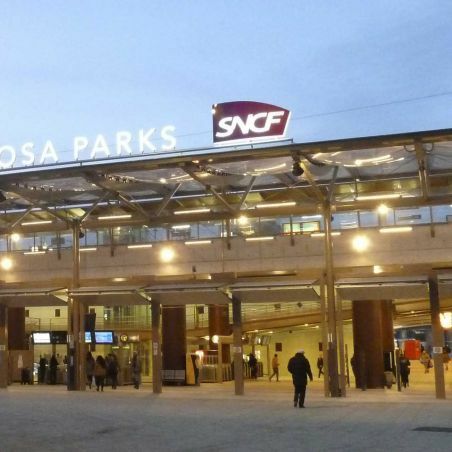 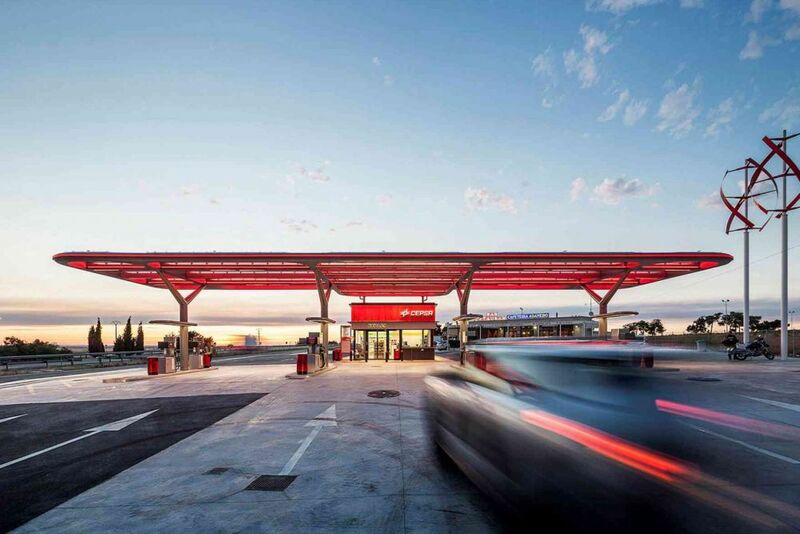 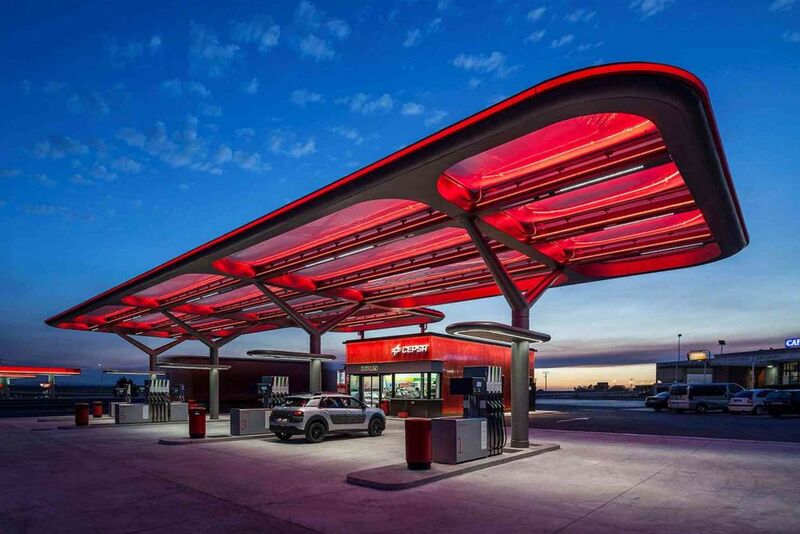 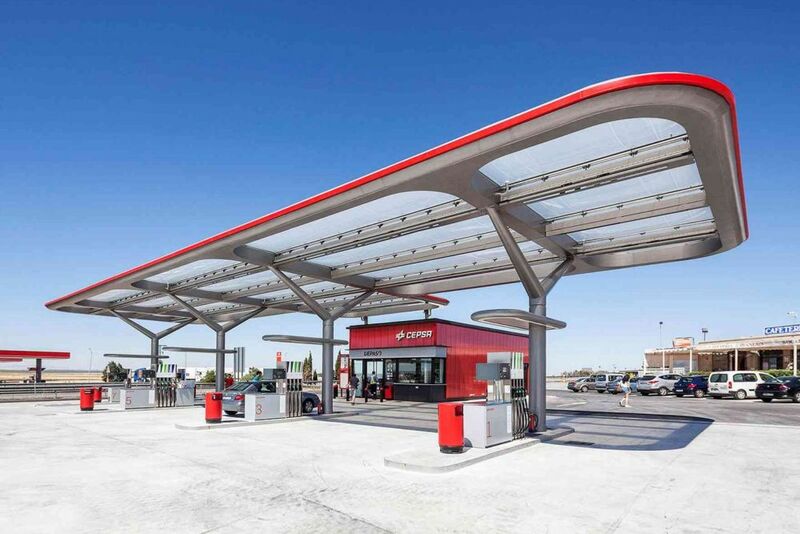 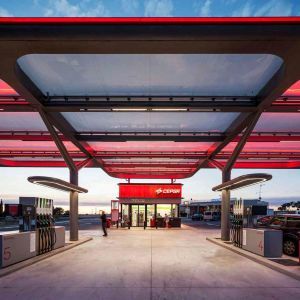 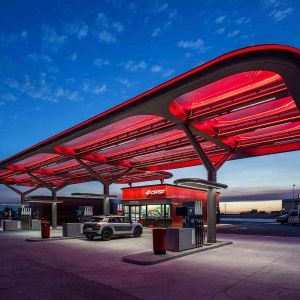 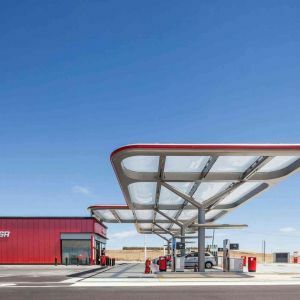 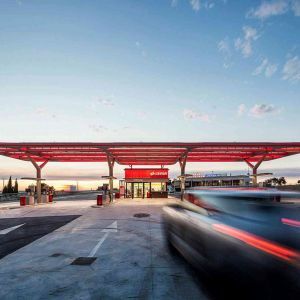 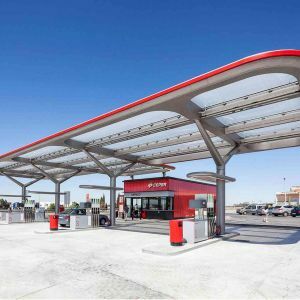 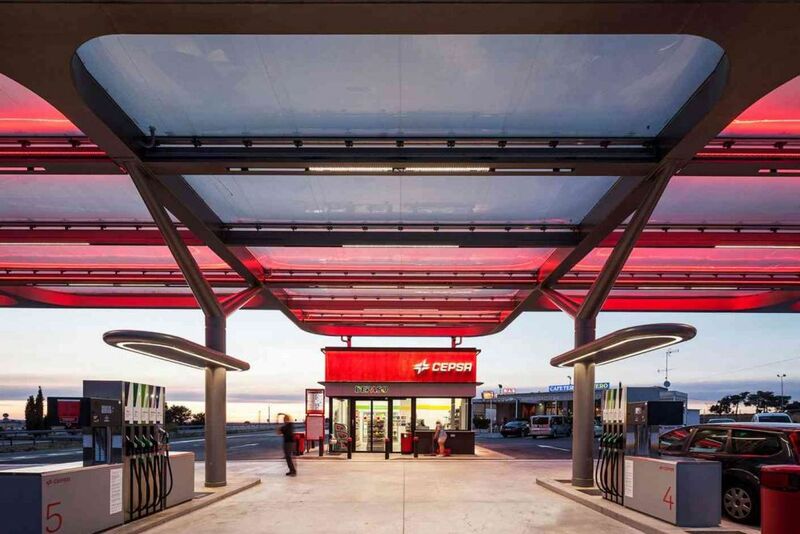 Cover made by 18 ETFE cushions with diferent sizes, located in a frame over the gas pumps of the station. 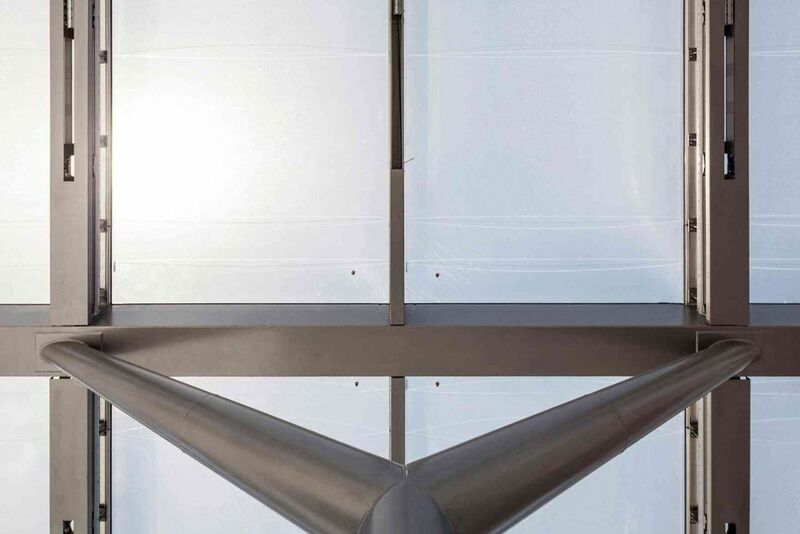 The fixation of the cushion to the metal frame is done in the top with aluminium profiles. 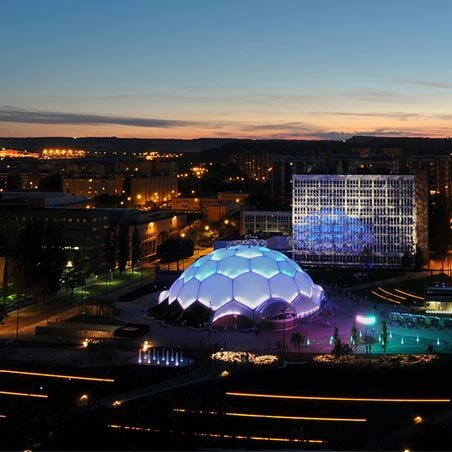 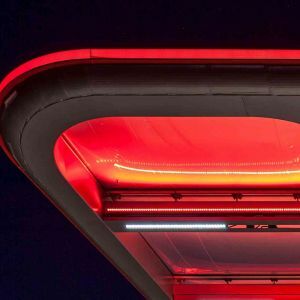 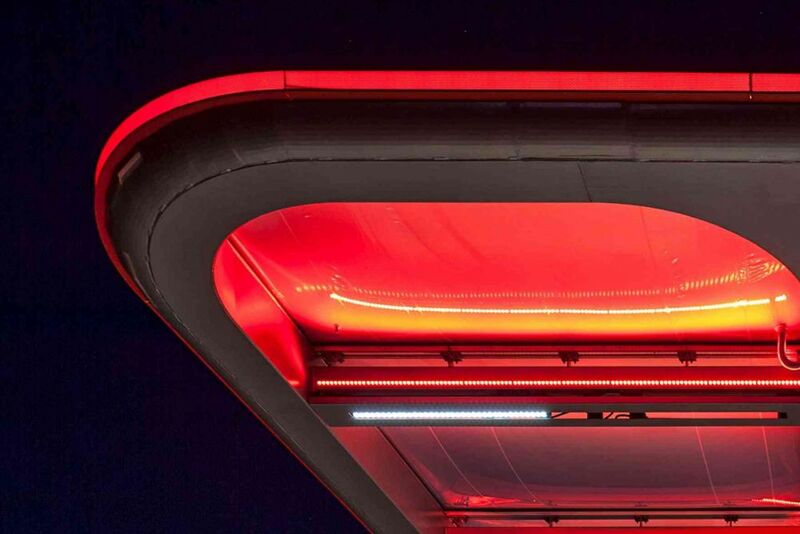 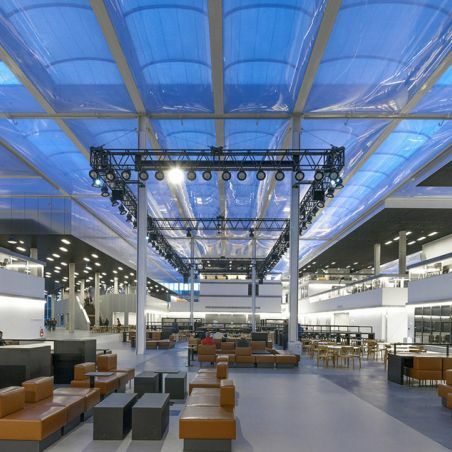 The ETFE cushions of 250 microns are printed in order to control the solar radiation during the day, and at night, the cushions are enlightened in order to have a remarkable and showy result. 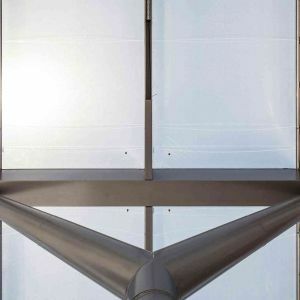 The aluminium profiles and the air pipes are hidden by the frame itself.